Recently, my roommate asked me to paint her nails for her. She picked two of my colors (Mesmerize and Midnight Cami from Essie) and asked for a polka dot pattern. You can easily recreate this polka dot manicure for yourself with a few easy steps and a bit of patience! I used the darker color, Midnight Cami, to paint the base color. Make sure to let it dry fully before moving on. 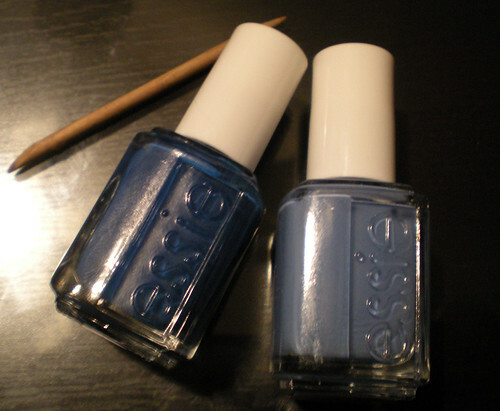 Dip the stick in the polish, fully coating the tip. 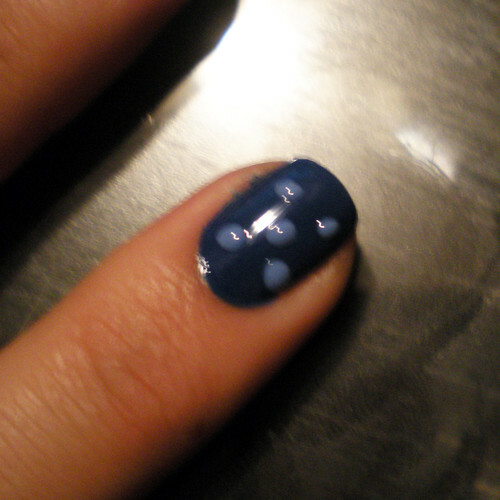 Start your dots closest to the cuticle, in the "corner" of the nail. 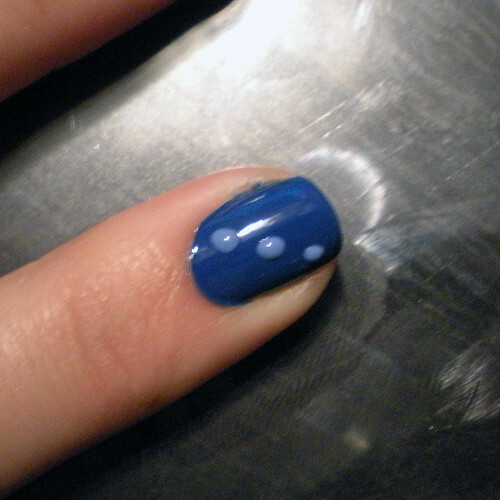 Keep moving across the nail with a total of three dots. Add two more dots to create the pattern of five dots shown below. Sort of like the "five" side of dice. 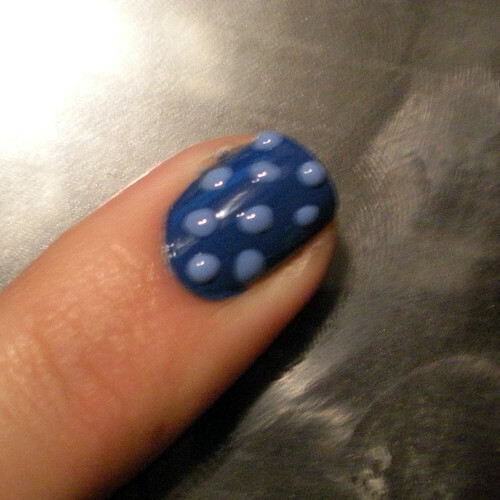 Fill in the rest of the nail following the spacing and direction set by your original five dots. 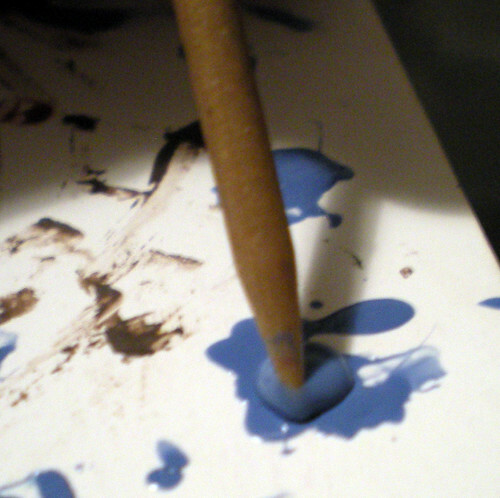 The dots take longer to dry so be very careful to not mess them up before they are fully dry. 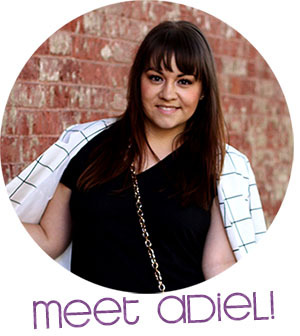 Finish it off with your favorite top coat and you've got an adorable polka dot manicure! I'd love to see your results, so please share!